With average temperature of around 30ºC, this is a great time for swimming and snorkelling as the water is warmer. Temperatures are cooler, at around 24ºC, but the weather is drier. This is also a great time to dive as marine life is more prolific. Complete the enquiry form to take the first step on your bespoke Ecuador & Galapagos Holiday. Alternatively, you can talk to one of our Travel Specialists on 0208 546 6222. Are you In need of more holiday inspiration? Check out some of our Ecuador itinerary ideas. Conceived for operations in remote areas, the state-of-the-art Santa Cruz 2 is an ideal expedition vessel for exploring the Galápagos Islands. The Silver Galapagos lets you Experience it all with complimentary exploration activities including Zodiac tours, snorkelling, kayaking and nature hikes led by highly experienced guides. The Isabela 2 is a popular choice for Galapagos cruises. Beacuse she combines a great staff to passenger ratio with a wide range of on board facilities. La Pinta’s exciting itineraries promise a complete immersion in this unique environment, with expert naturalist guides enriching your wildlife encounters. As a Catamaran, the Anahi has great stability and is a good choice for passengers who have little or no experience at sea. With a top sailing speed of twelve knots and only ten cabins, sailing on the Motor Yacht Monserrat promises passengers an exciting adventure in a friendly and relaxed environment. The Nemo 2 is a sail catamaran and offers just 12 passengers an intimate expedition cruise experience, perfect for maximizing your Galapagos exploration. The Mary Anne is the perfect ship for those who love to travel by sail. She has 1,000 m2 of canvas sails with which she majestically takes to the waves. The Passion offers her guests a sense of refinement and exclusivity while exploring the amazing sights of the Galapagos Islands. You can see our full range of vessels on our Galapagos Cruise Ships Page. 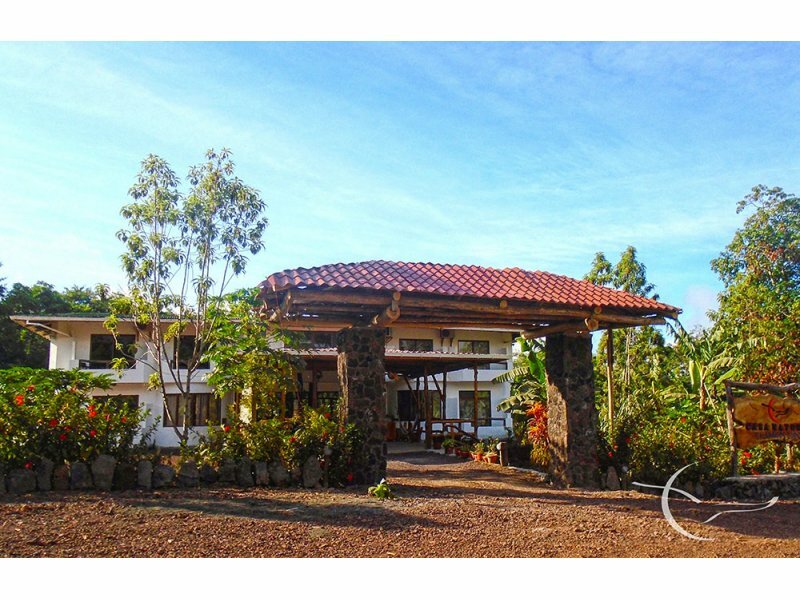 Casa Natura is a lovely family run lodge located in the highlands of Santa Cruz and carefully developed to provide the best Galapagos experience possible to its guests. It is located 40km from Baltra airport, 12km from the Garrapatero beach and 300 metres from the Love Tunnels, a touristic attraction formed by tunnels made of dried lava. The lodge is perfect for travellers who wish to have close contact with nature while on the Galapagos since its location will make you feel as if you were based in a natural park. For an immersive, yet luxurious experience in the heart of nature, Galapagos Safari Camp has got it covered. Keep in tune with the outside world by staying in a luxury safari tent, complete with ensuite hot water shower and flush toilet. Relax on the viewpoint terrace, take a dip in the infinity pool or unwind with a book in the main lodge. 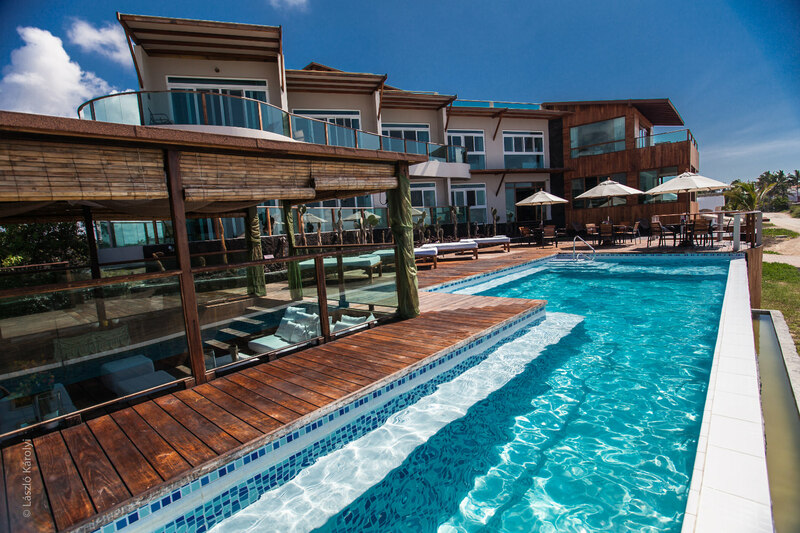 The Finch Bay Hotel has an enviable position on the beach front in Puerto Ayora. Accessible by a short water taxi from town, guests can relax away from it all while remaining close to the action. With a relaxing swimming pool, personal hammock and Cordon-Bleu qualified chef on site, you may not want to leave! 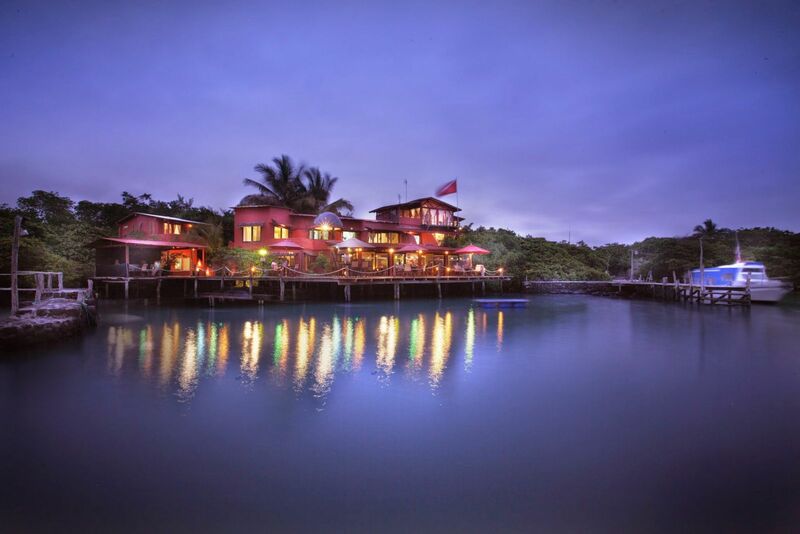 If you’re a wildlife lover, it doesn’t get much better than the Red Mangrove Aventura Lodge. Sea lions regularly sunbathe and play on the seaside deck at this stunning waterfront hotel. With comfortable rooms, far reaching views and an onsite restaurant, your every need is catered for. Whether you want to relax on the poolside terrace, enjoy panoramic sea views from the bar or simply unwind in your room, Hotel Iguana Crossing is the place to be. Observe the daily movement of iguanas from the wetlands to the beach, sit back in the jacuzzi or treat yourself to a massage. It’s all here. Few inhabitants of the Galapagos Islands are as iconic or instantly recognisable as the Galapagos giant tortoise. At the El Chato Giant Tortoise Reserve you can see this amazing creatures in the wild; strolling through the long grass, munching on guava or poison apples or perhaps taking a bath! Just remember to always give wild animals lots of space as you observe and get that perfect picture. The Charles Darwin research station focusses on the conservation of the Galapagos giant tortoise and on the education of visitors to the site. This is where many tortoises on the islands first make their way into the world; eggs are incubated here, away from predators such as dogs and rats. Once hatched, the tortoises are reared to a suitable size for release into the wild. Visitors to the centre can see tortoises of all sizes and can learn a huge amount about this extremely important conservation work. As one of the largest of the Galapagos Islands, and with the most developed town, Santa Cruz makes a brilliant base for onward exploration. It’s easy to access other islands from here and to organise whatever activities might catch your eye. But it’s also a great place to visit in its own right! With stunning beaches, plenty of hiking trails and a myriad of opportunities to spot wildlife, you’d be mad not to dedicate a couple of days to Santa Cruz. The largest town on the Galapagos Islands, no trip would be complete without a day or two in Puerto Ayora. Complete with excellent restaurants, classy hotels and boutique shops, this is the place to relax and recharge in between wildlife expeditions. But there's still plenty to do! With incredible snorkelling easily accessible from town and great beaches within walking distance, you certainly won’t get bored. For most visitors to the Galapagos, the biggest draw is the chance to see unique and interesting wildlife. The ‘big 15’ of the Galapagos include well known favourites, such as the blue footed booby and giant tortoise, as well as lesser known species, such as the flightless cormorant. The ‘big 15’ are distributed across multiple locations on the islands. Genovesa, Española and Fernandina islands are a bird enthusiast’s paradise, featuring endemic species such as the Red Footed Booby and the Flightless Cormorant. Santa Cruz is home to many Giant Tortoises, whilst Isabela, considered by many to be the most beautiful of the islands, is home to the native Galapagos Penguin. Which cruise you choose will depend on which animals you most want to see. Our Travel Specialists will work with you to discover your perfect Galapagos holiday. On your trip you will see some of the animals which first captured Charles Darwin’s imagination – in their natural habitat too. Land iguanas. Giant tortoises. Flamingos. The Galapagos is indisputably the place to see wildlife. On a trip here you can expect to see everything from dolphins and whales to beautiful birdlife. And so much of what you see can only be found here! If you love animals, nature, or even just getting outside, you’ll love the Galapagos. One of the best things about the Galapagos is that you don’t have to be a water baby to get the most out of your time here. If you prefer your explorations to be land based, why not take a guided hike up to volcanic ridges, along black lava flows and across beautiful sandy beaches? You’ll experience amazing views across the archipelago, spot seals from the coast and find giant tortoises in among the long grasses. To get incredibly close to marine life without getting in the water, why not try sea kayaking? Look down into the clear blue ocean at turtles, sea lions and maybe even some friendly dolphins. If kayaking is already your thing, this is a great place to take it to the next level. And if you’re a beginner? Well…what better place to start?! There are some fantastic surf spots in the Galapagos, many of them focused on the easily accessible island of San Cristobal. Whether you want to jump on a board for the first time or hunt down a world class wave, the Galapagos has something for you. And with friendly sea lions often spotted surfing alongside their human visitors, it will be an experience you’ll never forget. If you love scuba diving, the Galapagos has to be on your bucket list. Nowhere in the world has the same diversity of marine life - from barracuda to hammerhead sharks. Glide effortlessly beneath the rolling waves, watching out for eagle rays, manta rays and maybe even a whale shark! There are a huge number of opportunities for diving on the Galapagos - whether you’re a beginner and want to learn this exciting skill, or an experienced diver looking for a once in a lifetime live-aboard experience. And with fantastic visibility, you won’t miss a thing! For those who don't fancy scuba diving, getting close to marine life in the Galapagos is still possible. And snorkelling with shoals of colourful fish is just the start! Imagine coasting along the surface of the water as sea lions play around you, or as a graceful green turtle surfaces next to you for air. If you’re lucky, you may even see marine iguanas, or a Galapagos penguin! Snorkelling is perfect for wildlife spotters of most ages; less confident swimmers can wear a lifejacket. Since 1835, when the world’s most famous naturalist, Charles Darwin visited the Island, little about its unique ecosystem has changed. Numerous species, many of which can be found in no other part of the world, roam the islands in absolute freedom. Our holidays to Ecuador start from £3,199 per person, get prices for your perfect trip. Animals here are unfazed by human presence and often their own curiosity brings them within proximity to visitors. The island’s landscapes are just as unique and varied as the wildlife. Barren coastlines characterised by volcanic rock formations are alternated with lush green highlands, sunken volcano craters and beautiful white sand beaches. In their position far out in the Pacific Ocean, it’s hardly surprising that the Galapagos Islands are the perfect place for a cruise. Take a sail around paradise, past dolphins and the occasional whale, before exploring secret coves or rocky outcrops that are impossible to reach without a boat. Don’t forget that many places in the Galapagos are only open to cruise ship passengers, so for the full experience, you’ll want to take to the water. You can learn more about cruising in the Galapagos on our Galapagos Cruises page. The Galapagos Islands may be surrounded by water, but you’d be surprised by how much there is to explore on land. From incredible volcanic landscapes to white sandy beaches, verdant forests to gleaming rock pools, not to mention the amazing birds and animals around every corner. Exploring on foot has never been more exciting! Visit our Galapagos land-based holidays page to learn more. Whether you’re after a land based holiday or fancy a cruise, Latin Routes are uniquely placed to help you get the most out of your Galapagos experience. Let us take care of the little details so that you can get on with choosing from amazing activities like scuba diving, kayaking or wildlife watching. Whatever South America Holiday you’re after, we can help you make it happen. Explore the Galapagos in style aboard the WildAid Passion, this beautiful former private yacht offers the ultimate way to explore the islands. Learn more about this exclusive cruise. This 9 Day holiday takes in the sights of Quito and the incredible Galapagos Islands. Combine the highlights of two amazing countries in one fantastic 20 day holiday. Discover the Galapagos Islands with a flavour of Ecuador on this 11 day holiday. Experience the Galapagos under wind power alone on this authentic 13-day holiday.